This is also a volunteer event! Join us as we celebrate spring! 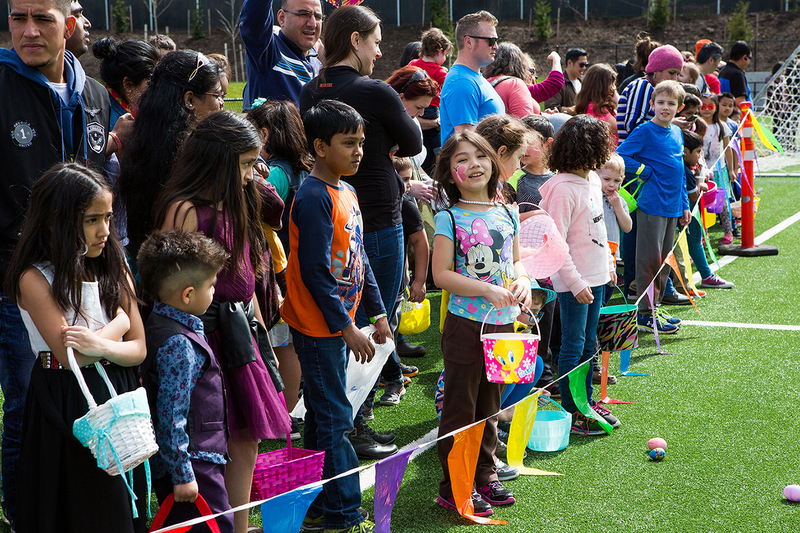 Come rain or shine and bring your baskets to load up on colorful eggs and fun surprises. Click here to register! Bring your little ones for this all abilities, non-competitive adventure designed for those that need less of a crowd, more time to search, and/or for those who may need additional assistance. Registration covers one child and one adult, if needed. Pre-registration required. Spring is here and it is time for our annual egg hunt. Bring your little ones for an adventure as you seek out hidden Easter eggs. Registration covers one child and one parent. Hunt starts at 10:45 am sharp. Pre-registration required. The Easter eggs have been hidden and the Easter Bunny needs your help finding them. Join the Easter Bunny in the search for the treasured eggs. Find a numbered egg and win a prize! Hunts begin right on time. Pre-registration required.